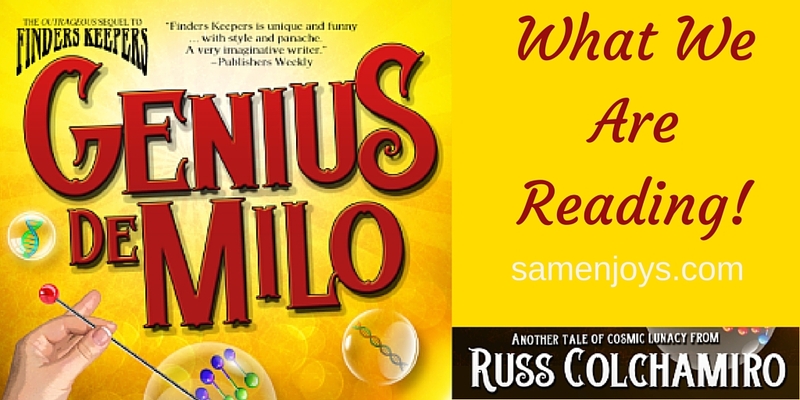 Review Genius De Milo by Russ Colchamiro - Sam Enjoys & Shares! 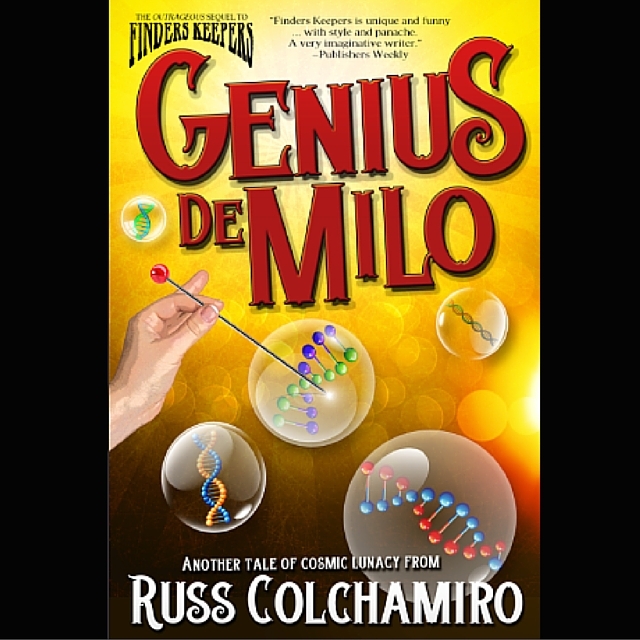 Genius De Milo by Russ Colchamiro is tale of “cosmic lunacy” and Milo the universe’s ultimate gremlin! It is a fun, light read. I received a free review copy and found it a joy to read. Genius De Milo reminds me a little of Hitchhiker’s Guide To the Galaxy and also a little of Bill And Ted’s Excellent Adventure. It is a sequel to Russ Colchamiro’s previous novel Finders Keepers. Unfortunately, I haven’t read Finders Keepers so I may have missed some finer points. I recommend Genius De Milo if you like zany science fiction humor. Best pals Jason Medley and Theo Barnes barely survived a backpacking trip through Europe and New Zealand that — thanks to a jar of Cosmic Building Material they found — almost wiped out the galaxy. But just as they embrace a future without any more cosmic lunacy: The Earth has started fluxing in and out of Existence; Theo’s twin girls are teleporting; and Jason can’t tell which version of his life is real. All because of Milo, the Universe’s ultimate gremlin.Joined by the mysterious Jamie — a down-and-out hotel clerk from Eternity — Jason and Theo reunite on a frantic, cross-country chase across America, praying they can retrieve that radioactive jar, circumvent Milo, and save the Earth from irrevocable disaster. 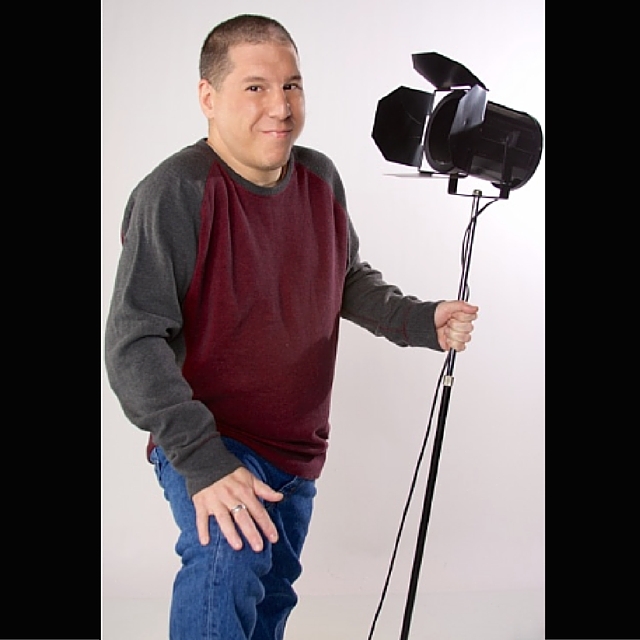 Russ Colchamiro is the author of the rollicking space adventure Crossline, the hilarious science fiction backpacking comedy Finders Keepers, and the outrageous sequel Genius de Milo, all with Crazy 8 Press. Russ lives in West Orange, NJ, with his wife, two children, and crazy dog, Simon, who may in fact be an alien himself. Russ is now at work on the final book in the Finders Keepers trilogy. As a matter of full disclosure, readers should not be surprised if Russ spontaneously teleports in a blast of white light followed by screaming fluorescent color and the feeling of being swallowed by a tornado. It’s just how he gets around. For more on Genius de Mio and Russ’ other wacky books, you can visit www.russcolchamiro.com or follow him on Twitter @AuthorDudeRuss. Genius De Milo by Russ Cholchamiro is available on Amazon in ebook and paperback formats.